Genuine Aprilia front brake pump for '97-'00 SR50 Carb. Genuine Aprilia taillight assembly for '97-'00 SR50. OEM Aprilia Chassis and Frame Service Manual .PDF DownloadThis is a factory service manual for '97 - '00 SR50 Carb. OEM Aprilia RH mat, black -#8248665 For '97-'00 SR50, and '00-'04 SR50 Ditech. 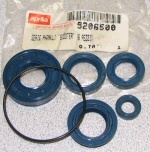 Top Performances Gasket Set For Pink or Black cylinder kit used on '97-'00 SR50 Carb. This brand new genuine Aprilia left front/ right rear turn indicator is a direct replacement for '97-'04 Pegaso, '95-'04 Rally, and '97-'04 SR50 Carb and Ditech. 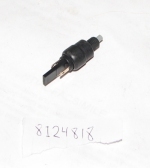 This brand new genuine Aprilia right front/ left rear turn indicator is a direct replacement for '97-'04 Pegaso, '95-'04 Rally, and '97-'04 SR50 Carb and Ditech. OEM Aprilia Engine Manual .PDF Download This is a factory engine service manual for '97-'00 SR50 Carb and '99-'05 Rally 50. This gas cap is designated for use with the following Aprilia models: '99-'03 Scarabeo 125,150, 200; '95-'04 Rally 50, '93-'04 Scarabeo 50; '97-'00 SR 50; and '99-'04 Mojito 50. 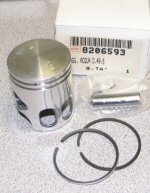 Genuine Aprilia roller weights 8.8 gm for 50cc engined scooters. Genuine Aprilia Air Filter for '97-'00 SR50 Carb and '95-'04 Rally 50. OEM Aprilia Exhaust Gasket -#8219212 For '97-'00 SR50, '00-'04 SR50 Ditech, '04-'07 SR50 Ditech Factory, '98-'05 Scarabeo 50 Carb (two stroke models), '95-'04 Rally 50, and '99-'04 Mojito 50.